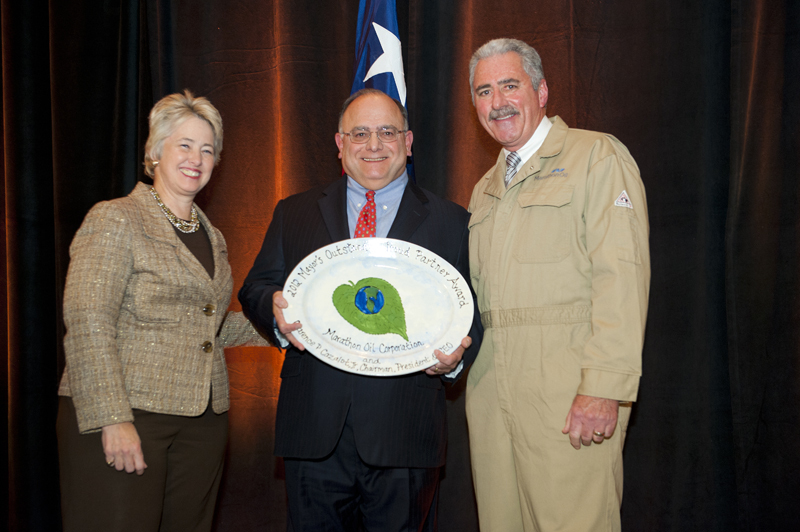 On October 29, 2012, Keep Houston Beautiful honored Marathon Oil Corporation and Clarence P. Cazalot, Jr., Chairman, President and CEO, as the Outstanding Proud Partner at the 28th Annual Mayor’s Proud Partners Luncheon. Marathon Oil Corporation’s policy of “Living Our Values,” through safety education, environmental stewardship, protecting preservation of our surroundings and improving our city emulates the core principles behind this award. Also honored were members of the community who have volunteered their time and efforts to beautify our city.